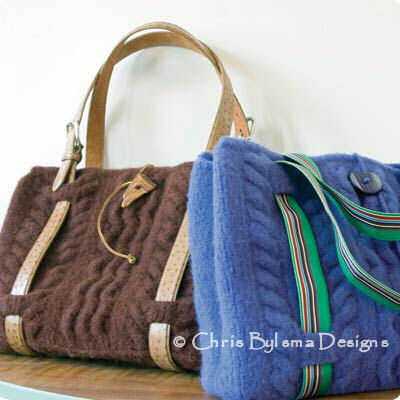 Belted, buckled, cabled, felted and loaded with style. This bag will earn your praise for its versatility, classy shape and ability to hold anything you need to lug with ease. The ingenious straps are two men's belts.